With our natural and minimally invasive approach to dental care, Dr. Daniel No at Harbor Modern Dentistry is the Costa Mesa dentist you've been waiting for! Biomimetic dentistry is being utilized across the world at great dental institutions and is focused on maintaining healthy teeth that are strong, intact, and natural! Harbor Modern Dentistry is here to help you get the stunning smile of your dreams with a range of cosmetic dental care services. From teeth whitening to removal of mercury fillings, Dr. No and our team will get you ready to show off that smile! Including Invisalign®, veneers, & more. 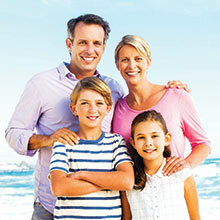 Quality care for your family’s needs. with dental care that restores and strengthens their natural teeth. By utilizing modern biomimetic practices, Dr. No’s diagnoses and conservative treatments help you keep your existing teeth if at all possible. 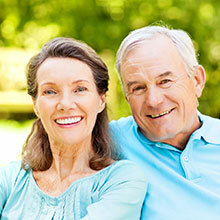 Harbor Modern Dentistry provides comprehensive dental care that ranges from professional teeth whitening to dentures, and everything in between. "Dr. No is very friendly, down to earth, attentive, professional and very knowledgeable. He makes me feel comfortable and relaxed… If you need a dentist you can trust, someone who is on top of the latest news and treatment in dentistry, Dr Daniel No is highly recommended."